six + = 10 Required Please enter the correct value. The Dow Jones Industrial Average today climbed as investors showed optimism over the economy as we head into 2017. 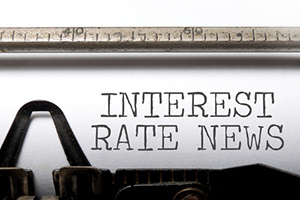 With the U.S. Federal Reserve's final meeting of the year on tap for Tuesday, investors expect that a rate hike is certain. Now, here's a look at today's most important market events and stocks, plus a preview of Tuesday's economic calendar. The Dow Jones climbed as energy traders cheered a huge production deal between OPEC and non-OPEC nations. Energy stocks jumped nearly 2% early this morning. Shares of Exxon Mobil Corp. (NYSE: XOM) and Chevron Corp. (NYSE: CVX) led the way. W&T Offshore Inc. (NYSE: WTI) was one of the biggest daily winners, climbing more than 15%. According to CME Group's FedWatch Tool, the odds of a rate hike sit at roughly 95%. Of course, there's no guarantee that the Fed will raise rates for the first time since December 2015. Expect the Fed to debate the fiscal policies of President-elect Donald Trump, who is pushing for tax cuts, corporate reform, and infrastructure spending. While these policies are seen as ways to bolster economic growth, there are concerns these policies could create inflation. Gold prices were sitting near a 10-month low with the Federal Reserve in focus. Gold finished the day around $1,164 per ounce. Despite the recent downturn in gold prices since the election, Money Morning Resource Specialist Peter Krauth's bold gold price prediction shows how high prices could climb heading into 2017 after this week's FOMC meeting. Read about it, right here. 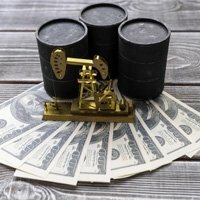 The WTI crude oil price today rallied thanks to increased optimism over OPEC's production deal to cut excessive output. On Saturday, 12 non-OPEC nations, including Russia and Mexico, agreed to reduce their production output in order to help support global crude prices. The total deal includes a reduction of 558,000 barrels per day, according to a statement released by the nations. That follows a deal by OPEC last month that will see crude production decline among member nations by 1.2 million barrels per day. The deal helped spur a rally in currencies of global exporting nations like Canada, Russia, and Norway. The WTI crude oil price rallied 1.9%. Meanwhile, Brent crude added 1.9%. The head of the International Monetary Fund, Christine Lagarde, headed to trial today on charges that she was negligent in her dealing of a fraud case that started in the early 1990s. The case is expected to run through Dec. 20, and Lagarde is the third consecutive leader at the IMF to face legal charges. But the big news happened with Lockheed Martin Corp. (NYSE: LMT). According to President-elect Donald Trump, Lockheed Martin's F-35 costs are "out of control." Shares of Lockheed Martin (LMT) stock fell more than 2.4% after President-elect Trump took to Twitter and criticized the jet program. Despite the tweet from Trump, we offer several reasons why LMT stock is poised to rebound. Check out that insight, right here. Money Morning Chief Investment Strategist Keith Fitz-Gerald has put together a guide to help investors profit from Trump's penchant for criticizing companies through social media. Check it out, right here. Shares of ExxonMobil Corp. (NYSE: XOM) ticked higher on speculation that President-elect Donald Trump will nominate company CEO Rex Tillerson for the role of secretary of state. XOM stock climbed over 2% on the day. Shares of Chipotle Mexican Grill Inc. (NYSE: CMG) climbed more than 3% after the company announced plans to ditch its dual-CEO structure. Steve Ells will be the sole CEO of the embattled restaurant company, while Monty Moran will step down. Despite the uptick in shares in recent trading sessions, investors should steer clear of CMG stock. Here's our latest insight on why Chipotle stock is poised for steep challenges in the year ahead. Shares of Boeing Co. (NYSE: BA) are in focus after the company announced it has finalized a deal to sell 80 airplanes to Iran Air. The $17 billion deal is the largest between an American and Iranian company since 1979. Still, the deal will likely face some political opposition. In earnings news, keep an eye out for a quarterly report from VeriFone Systems Inc. (NYSE: PAY) after the bell. Shares of the electronic-payment giant were slightly down before the earnings report. NFIB Small Business Optimism Index at 6 a.m. Import and Export Prices at 8:30 a.m.
30-Year Bond Auction at 1 p.m.